$59.95 In stock. Order in the next 11 hours, 29 minutes and it will go out today! In stock. Order in the next 11 hours, 29 minutes and it will go out today! 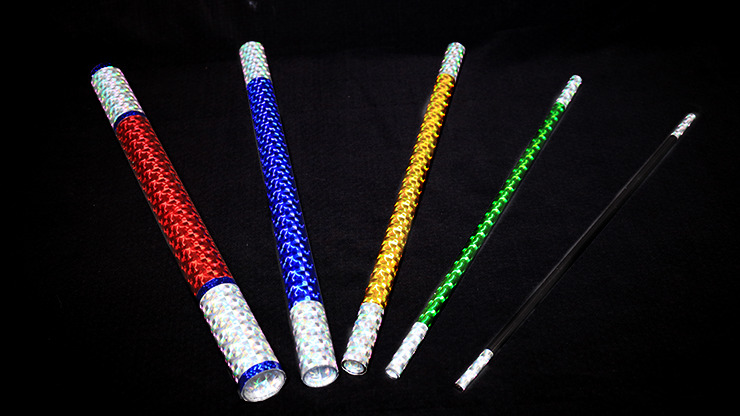 If you are looking for a great audience participation effect for your next children's show, check out the Deluxe Nesting Wands! Imagine asking a volunteer to hold a wand, but when they grab it, you are still holding another in your hand! This continues until the child is looking for new places to put the wands - between the legs, under the arms, under the chin, etc. Spontaneous laughter with a comedic routine is hard to beat. Order yours today!